The Industry today continues to look to improved performance across a wide range of hot gas generation systems. Fives is well positioned through its range of superior solutions to address performance needs. Industry today is focused on improving performance across a wide range of Hot Gas Generators systems spanning Dryers (Coal, Tissue Paper, Minerals, Sludge and Chemicals), Ovens (Food, Paint, Aging), and Calciners and Roasters (Minerals and Ores). Additional Hot gas generators designs are of interest for Fluid Bed Preheat systems, Thermal Oxidation, and Autoclaves for Composites. Current customer requirements for improvement span temperature uniformity of the hot gases entering their process, reductions to overall NOx or CO emissions, improved process operating efficiency, and for providing for the burning of multiple fuels such as PUC gases, Oil, Process and Refinery gas. 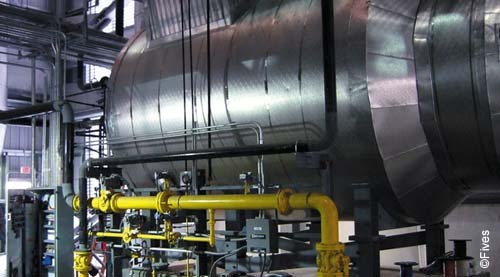 Fives designs tailor-made hot gas generation solutions. The North American and Pillard ranges brings efficient and reliable solutions by lowering fuel costs and emission whilst maintaining a high availability of the line. Fives brings its expertise and services to supply tailor-made solutions and ensure an optimal performance, temperature uniformity and efficiency. Fives offers combustion systems that ensure superior flame shaping ability over a variety of fuels. while also offering when required Low NOx and Ultra Low NOx emission. Fives brings tailor-made solutions to dry raw materials and improve the thermal efficiency of the installation. Fives brings a full range of auxiliary systems such as blowers, valves and regulators. To ensure performance and availability all along the process, Fives offers hard-wired and safety PLC BMS Logic systems.